A new Warhammer game has been announced via Finnish gaming magazine, Pelaaja. 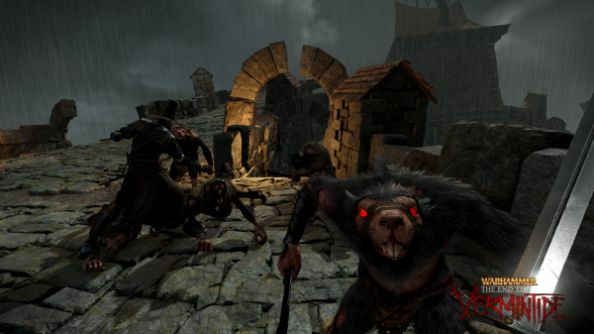 Dubbed “Warhammer: The End Times – Vermintide”, the game will be centered around the rat-man-thing race of the Skaven, as they terrorise the Empire. 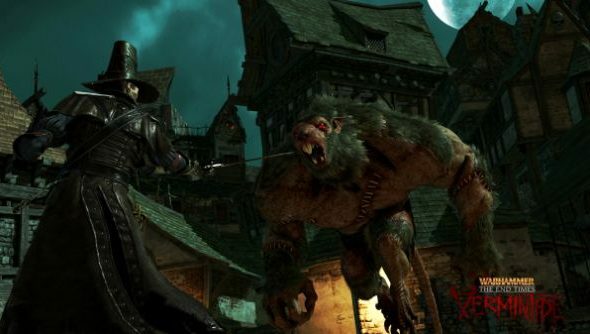 Featuring four player co-op, Vermintide will reportedly take inspiration from games such as Left 4 Dead and Borderlands. Up to four players will be tasked to liberate Ubersreik City from a horde of Skaven; an enemy chosen due to their natural horde-like numbers, and also because they’re not Orcs (which Fatshark says are overused). The game won’t be a pushover either – Fatshark intend to make it challenging and merciless: enemy encounters appear to be procedurally generated, much like Left 4 Dead’s signature director system. The Skaven are also armed with more than just their claws and petty swords – they’ll also carry around with them rattling guns and other deadly weaponry. As for player classes, there’ll be five in total, each of them unique. Two were revealed in the preview: a Witchhunter and a Fire Mage. The Witchhunter has a personal beef with Skaven, as they’re responsible for stealing one of his eyes. He wields daggers and pistols. The other class, the Fire Mage, is a crazy old hag who has little care for her own safety; if she keeps spamming her spells, there’s a chance she’ll blow herself up. Each character will be backed up with a plethora of lore and backstory. Players will use a tavern to hear about new quests and missions, while also looking for friends to team up with. There will also be plenty of loot in the game to help bolster your characters power. 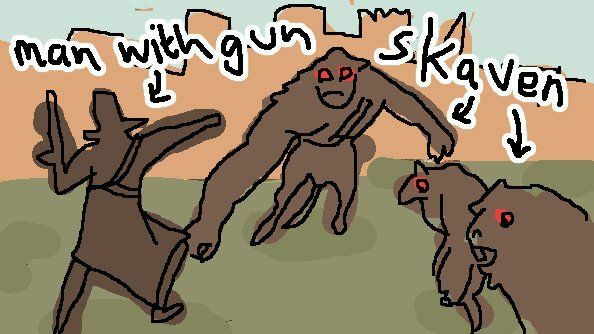 Here’s our Steve and his rendition of the game – it’s quite lovely. Warhammer: The End Times – Vermintide has yet to have a release date, or even announce what platforms the game is intended for. But considering Fatshark’s past works – War of the Roses, War of the Vikings and Escape Dead Island – there’s a good chance we’ll see it on the PC.